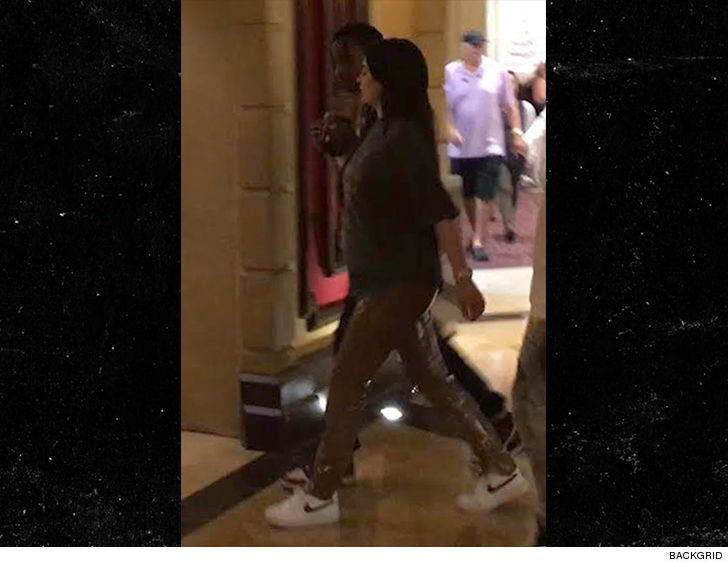 Travis Scott and Kylie Jenner walked with purpose Saturday night ... just a day after TMZ broke the story ... she's pregnant. 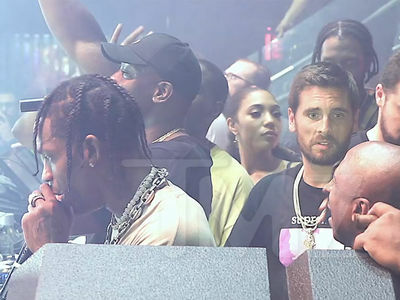 Kylie joined Travis in Vegas, where he performed but made no mention of his soon-to-be kid. She's wearing loose fitting threads, which is probably the way we're gonna see her for the next 5 months. As we reported, Travis was boasting to his buds a week ago that they're expecting a girl. If big sister Kim is any indication, Kylie will have no problems bouncing back. 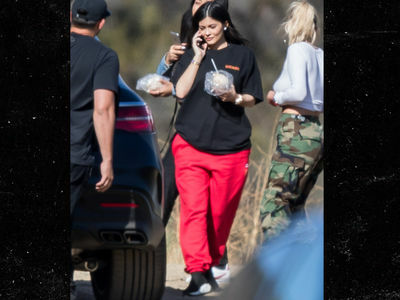 And at least for now, she's still being Kylie ... French Montana can attest to that.